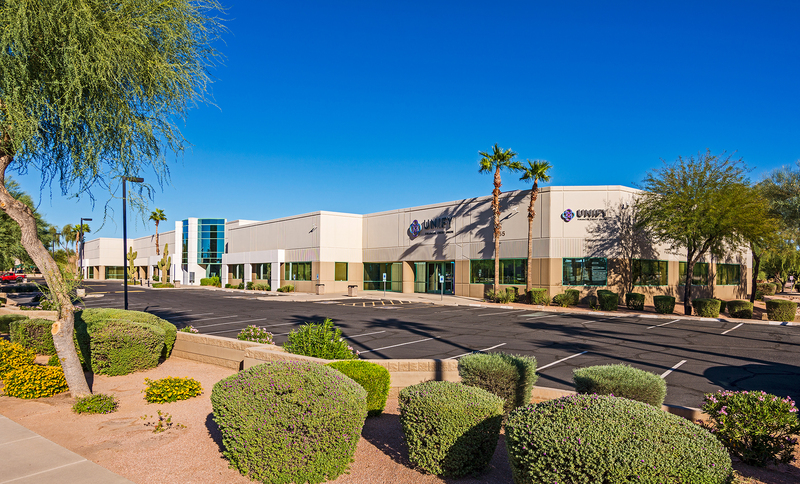 Phoenix, Ariz. – Cushman & Wakefield announced that 1355 South Clearview Avenue in Mesa, Ariz., was purchased by Christianson Holdings LLLP of Fargo, North Dakota from Larch Street Capital Management of Vancouver, British Columbia and Scottsdale-based Attis Investments for $8.8 million. Steve Lindley, Tracy Cartledge, and Bob Buckley of Cushman & Wakefield Phoenix negotiated the transaction on behalf of the seller. Property Resource Group of Fargo, North Dakota represented the buyer. Located within Mesa’s Superstition Springs Corridor on the northeast corner of South Clearview Avenue and East Hampton Avenue, 1355 S. Clearview Avenue is a single-story, 57,193-square-foot, three-tenant corporate office property currently 100% occupied. Anchor tenant Ford Credit occupies over half of the project and has been a tenant for 20 years, since the building’s completion in 1998. Two other strong-credit tenants, the State of Arizona and Unify Financial Credit Union, occupy the balance of the building. The property is located in Mesa, the second-largest city in Metro Phoenix, which has a diverse and dynamic economy. Apple is investing $2 billion to create a 1.2-million-square-foot global command center a few minutes south of 1355 South Clearview Avenue, and Boeing employs over 4,000 and manufactures Apache helicopters in the city.